Beets are super simple to prepare when you have a pressure cooker. All you need is water and a bunch of beets! Just put them in your pressure cooker and cook about 25 minutes and you have perfectly tender beets that you can use for salads, side dishes, smoothies, or eat just by themselves. They fit into almost every lifestyle and diet: paleo, vegan, omnivorous, Whole30, and gluten-free! It is important that the beets are all about the same size. 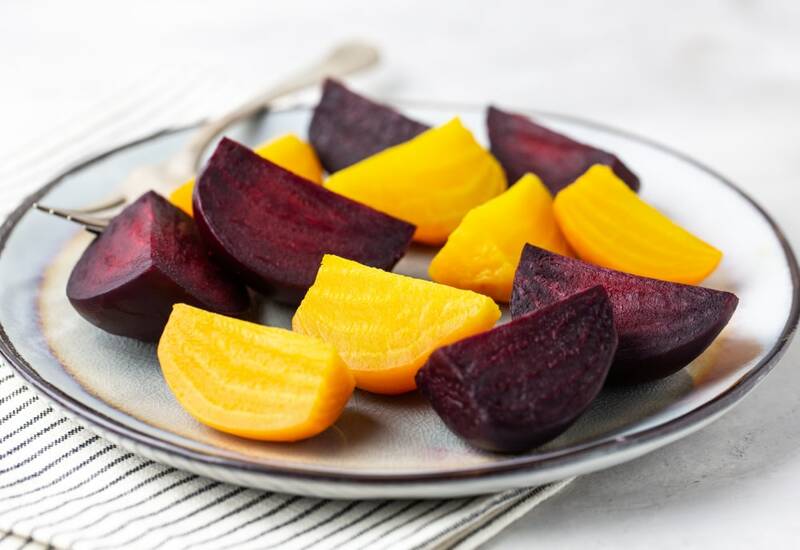 If you have a few beets that are larger than the others, cut them in half or quarters to match the size of the others. This will ensure they are all cooked to the same tenderness. Cook beets that are slightly smaller than the palm of your hand for 20 minutes on High. Cook small beets for 15 minutes on High. Cook extra large beets for 30 minutes on High. If you find that they aren't tender enough, put them back in the pressure cooker and cook for 5 minutes more. Want to read an article about beets, with step-by-step pictures? Click here to see it! Per Serving: 12 calories; 0g fat; 2.8g carbohydrates; 0g protein; 0mg cholesterol; 22mg sodium. I didn't use golden beets, only the traditional purple beets. They cooked really nicely in the pressure cooker. I used chicken broth instead of water to help contrast some of the earthy flavor. This is best way to prepare beets!